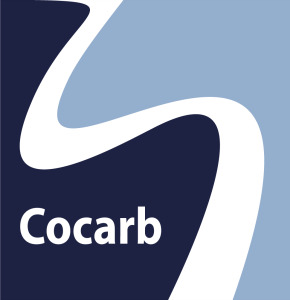 Cocarb (part of Danish Longhi-Group) is a joint venture established in 2013 with PT. Tanso Putra Asia. Our aim is to grow together and enlarging our product portfolio with more products related to activated carbon. Tanso Putra Asia, with production plants in Sumatara and Java Indonesia, is a well-established activated carbon manufacturer, who has more than 20 years of experience and knowhow in producing steam activated carbon for the global carbon industry. The art of producing high quality activated carbon, mainly from coconut charcoal, is an art they have gained through a serious process of many years experience. Cocarb is committed to continue to produce superior quality steam activated carbons products, ranging from different grades of activated carbon to various filters, as well as customized products. Customer focus and communication is important for us. You will always find our sales team available to help you with your carbon needs and our R&D team is here to offer their services to customize any products or specialised carbon. In Indonesia we have an unlimited source of sustainable raw material from coconuts. We take pride in producing carbon in an environmentally friendly way and our coconut charcoal is produced from a natural waste product. Carefully steamed activated coconut charcoal is the greener way to activated carbon. Our main products are AirPro and Liquid Pro activated granular sized 4×8, 6×12, 8×30, 12×40, 20×50, 30×325 and 325 90% Mesh (powder). 950, 1000, 1100 min. Iodine number. Ash and moisture is maximum 3% max. Hardness minimum 98, BD 0,50. We produce different types of filters like cylindrical filters and inline filters. We are the sole supplier of all carbons used in Smoke Solutions smoke cabins and PEAK2000 air purifiers. The market for activated carbon is growing and the quality we produce is compatible with many applications and will work maximum wherever it is used. Our products are used to remove impurities, contaminants and pollutants in a wide range of different industries. You will find our cost effective carbons used in water and air treatments, pharmacy industry, for odour control, in biogas industry and as colourants in beverage industry. Our products are used as catalyst support and in gold recovery. We sell our products worldwide and our products are subjected to a wide range of tests. The results and the related certificates are the proven documents of our technological promises, which reflect our high standards of product quality and efficiency. Cocarb has the passion and capabilities to bring the best value and products to your life and business.